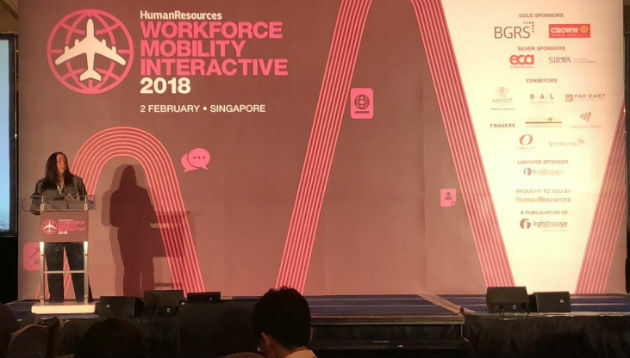 Welcome to Workforce Mobility Interactive 2018, Singapore, the regional invitation-only mobility event for HR leaders and senior mobility specialists! Today’s conference will see speakers from Bayer, Publicis Communications, Crown World Mobility, and more sharing their insights into some of the biggest challenges through keynote presentations, panel discussions and interactive roundtables. On this page, you can catch live updates from the conference, brought to you straight from Shangri-La, Singapore with the most recent session updates appearing first. 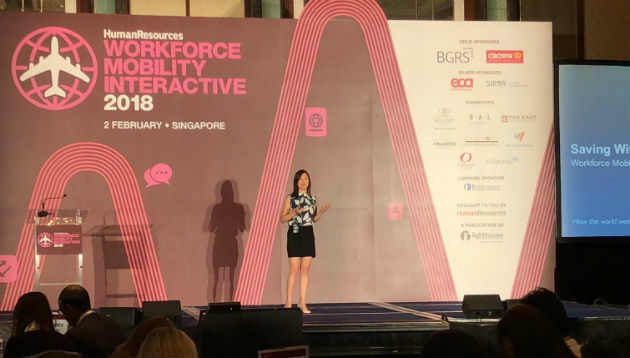 As curtains close on this year’s edition of Workforce Mobility Interactive, Human Resources‘ senior journalist Jerene Ang takes the stage to thank everyone who made this possible – speakers, delegates and sponsors. 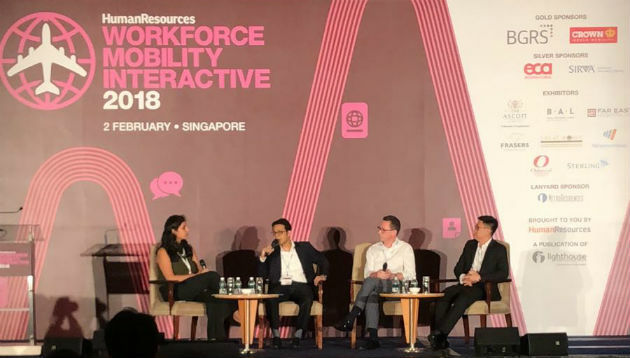 Those sessions bring us to the end of Workforce Mobility Interactive 2018, Singapore. Hope all of you had a great time and managed to bring home a few key takeaways from the conference. Thank you once again to all our speakers, delegates and sponsors, and we do hope to see you again next year. Before we call it a day, delegates are invited to share their key takeaways for today, in two polls. Alongside, we invite our table hosts to sum up their key takeaways from today. For our last interactive session, one of the topics to be discussed is getting your return on relocation; hosted by Robert Menezes, global human resource business partner for transaction banking and COO at Standard Chartered Bank; and Yvonne Mcnulty, senior lecturer at Singapore University of Social Sciences. It’s time for another interactive session. 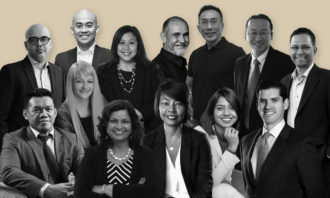 One of the topics to be discussed is redefining the expat package; hosted by Benjamin Roberts, global talent acquisition and mobility leader at Publicis Communications; and Lee Quane, regional director for Asia at ECA International. We now dive into our next interactive session. 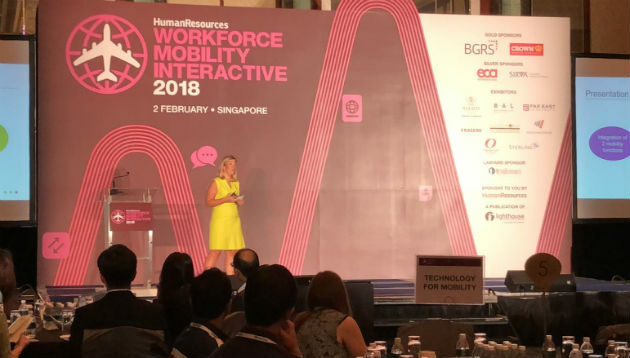 One of the topics to be discussed is structuring a global-ready workforce; hosted by Rahul Kalia, regional human resources business partner at Bayer; and Ellyn Karetnick, vice-president for global head of talent mobility consulting at BGRS. Currently as the vice-president and global head of talent mobility consulting at BGRS, this next speaker has 25 years of experience both in corporate and consulting roles where she has designed, implemented and successfully managed HR strategies and mobility programmes. Today, she will tap on her vast experience to share how you can tell when the time is ripe for a mobility transformation. 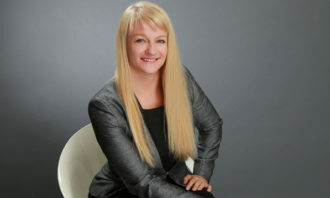 Please welcome Ellyn Karetnick, vice-president and global head of talent mobility consulting at BGRS. “If you have a strong business case and your leaders are not part of the 63% who have mobility high on their agenda, then that is something you can leverage on,” Karetnick shared. We now dive into our next interactive session. One of the topics to be discussed is compliance and risk navigation; hosted by Pooja Taneja, human resources director for Southeast Asia at BT; and Girlie Velasquez, director of global account management at SIRVA. We now dive into a panel where four HR leaders will discuss ideas for changing organisation structures to embrace mobility assignments. Today, we have the pleasure of having an HR expert with varied experience as the moderator for the panel. Please welcome Pooja Jhaveri, talent partner at HP (extreme left), up on stage. Next up, we have a keynote on developing a sustainable solution to optimise mobility programme costs. Bringing you this presentation is Ella Yu, financial services practice manager at Crown World Mobility. Armed with 10 years of experience in auditing, payroll, international payment, assignee tax and policy recommendation, Ella will be able to share with us how to get the bang for your buck when it comes to employee mobility. Let us welcome Ella! “Hidden costs such as bank fees, FX conversion costs, VAT / GST, and administrative tax adds about 17% to your relocation cost. 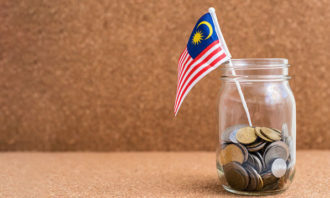 These are all additional costs that do not add any benefit to your mobility programme, or assignee experience,” Yu said. Our first speaker has 13 years of HR experience and 8 in global mobility. Currently as the global mobility manager for Asia Pacific, Middle East, Russia, and Caspian for Wood, she manages a team of advisors that support an international assignee population of more than 700 people based in 33 countries. Today, she will tap on that experience to share about navigating the deployment of employees to business critical but challenging locations, and integrating two mobility programmes successfully despite challenging locations and business sectors. Please welcome Sarah White, global mobility manager for Asia Pacific, Middle East, Russia, and Caspian at Wood. 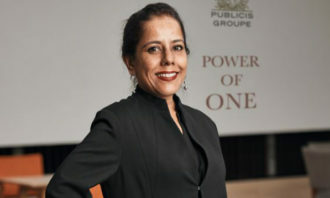 As for challenging locations, White shared that the firm implemented a completion bonus to incentivise assignees to complete the whole assignment. To inaugurate the conference, Human Resources’ senior journalist Jerene Ang takes the stage to welcome all delegates, sponsors and speakers. The registration counter is open and our team is all set to welcome today’s delegates at Workforce Mobility Interactive 2018, Singapore. Curveballs or basics? Hiring managers revealed the favourite questions they asked to recruit the best. ..